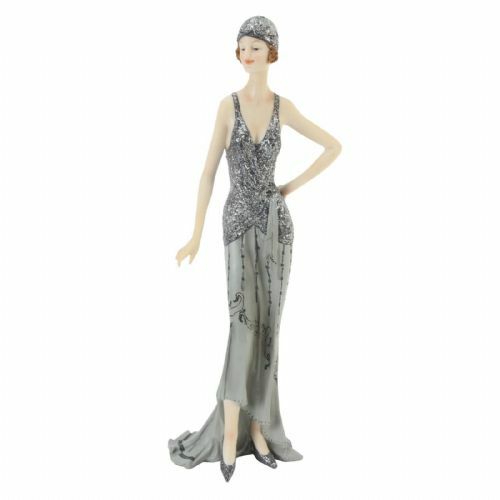 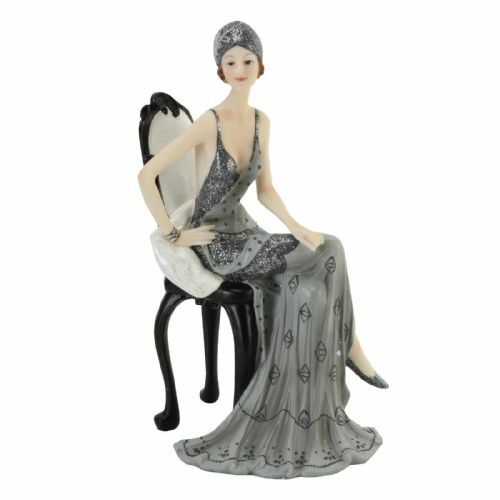 A beautiful collection of Art Deco 1920s Lady figurines from the Broadway Belles collection by Juliana. 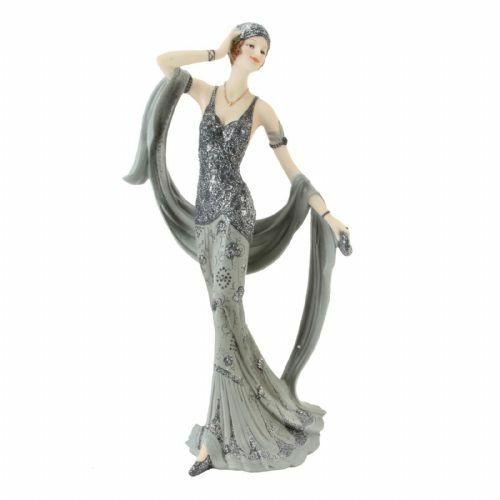 Each collectable figurine is named and has a unique pose. 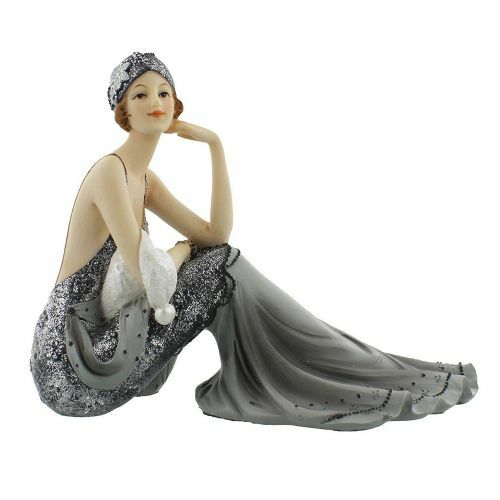 Expertly crafted from high grade resin and hand painted in a shimmering silver and grey palette. 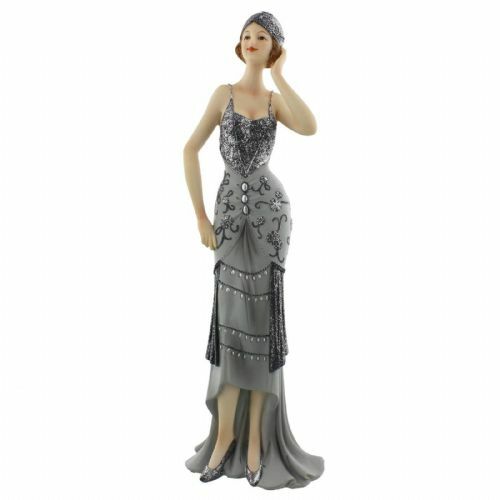 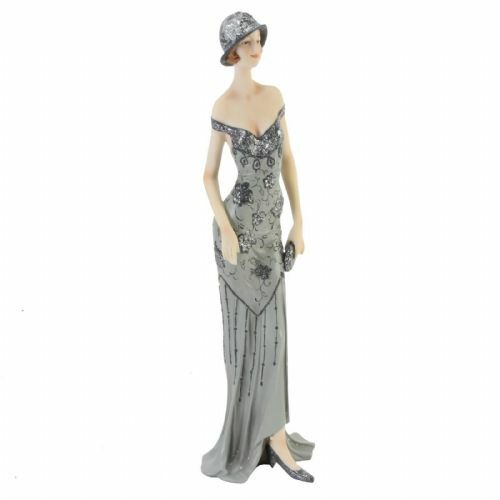 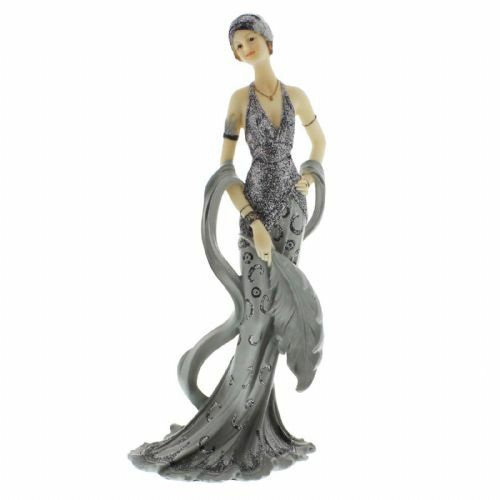 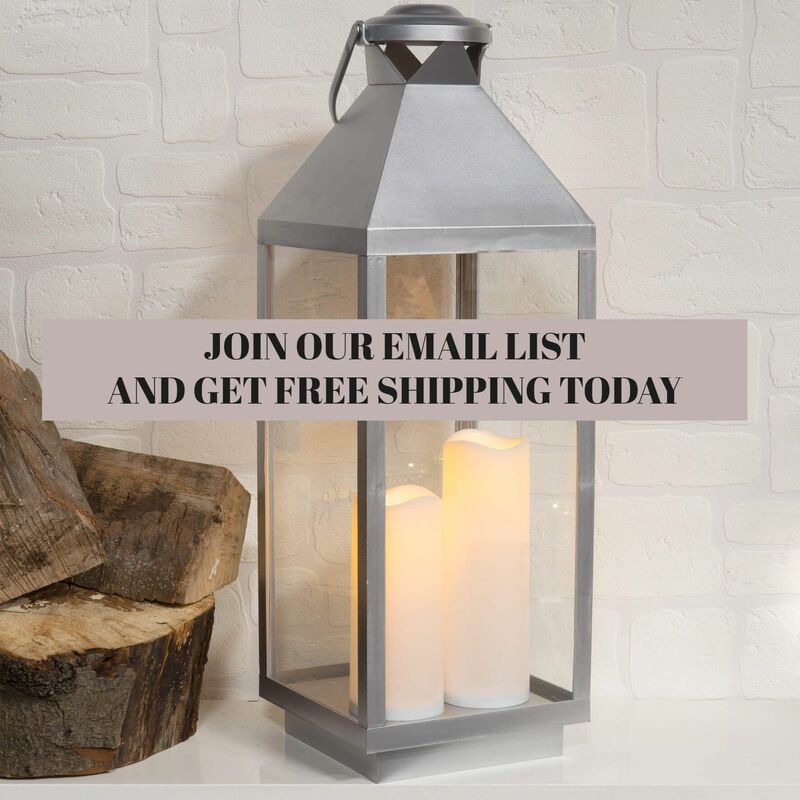 These elegant lady figurine statues are a wonderful elegant addition to the home and make beautiful thoughtful gifts.